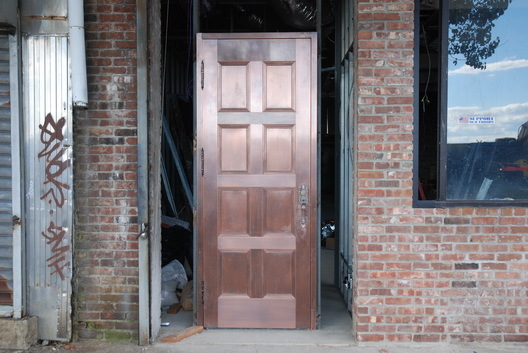 This is the new jazz club and restaurant in Red Hook on Beard Street that will be known as Mordecai's. It will occupy the space that once was Lillie's and have Ikea as its neighbor across the street. Work is progressing, albeit slowly. We found its recent doored, yet door-less, state amusing.